Penn State professor Jonathan Brockopp and Webster's Bookstore Cafe owner Elaine Meder-Wilgus hold up signs by the Allen Street Gates. The GOP is currently debating two other proposals that would only partially repeal the ACA, but offer no replacement bill. Protesters, including Penn State professor of bioethics Jonathan Brockopp, were also upset about Donald Trump’s tweet saying the government will not accept transgender individuals into the military. Trump’s decision would reverse Barack Obama’s policy – still under final review – that would allow openly transgender individuals to serve in the military. 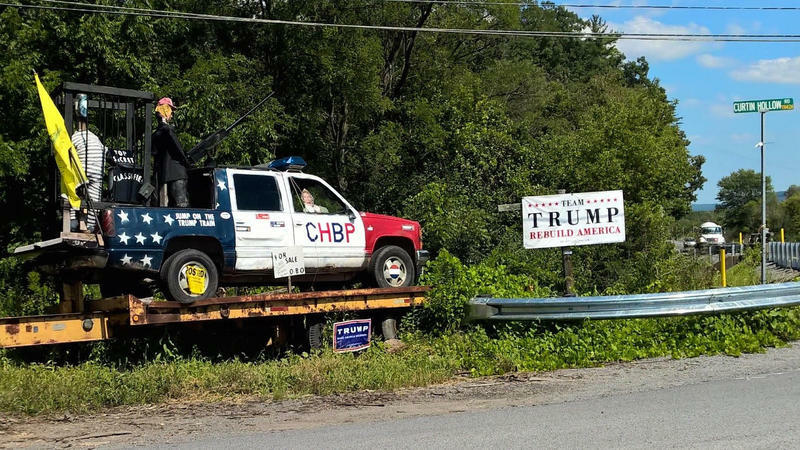 Rural areas in Pennsylvania helped secure the state for Donald Trump in the 2016 presidential election. However, a good deal of opposition to the healthcare bill Republican Senators are now struggling to push through can be found in the conservative areas surrounding State College. In the fall of 2016, Centre Hall’s Pennsylvania Avenue was lined with signs in support of Donald Trump. 82-year-old David Corl lives just off that main street. He was a lifetime Republican, but recently changed parties. 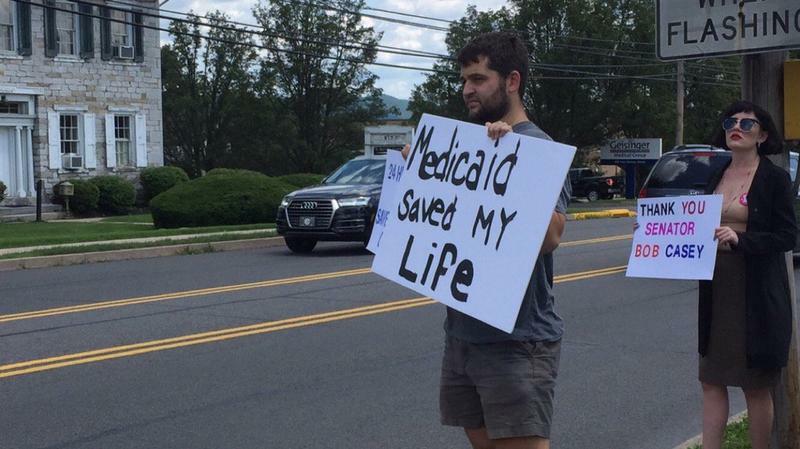 Centre County locals are rallying against the Senate’s proposed healthcare bill. The bill was delayed Tuesday, but opponents are gathered for a 24-hour rally in Bellefonte. The rally began Wednesday at noon with about 10 people gathered on thet street outside Senator Bob Casey’s office. Organizer Jared DeLoof was diagnosed with type 1 diabetes a year ago.